Chipotle fans, get ready for some exciting news! The founders of that healthy fast food chain have quietly begun to launch a new Southeast Asian concept called ShopHouse. 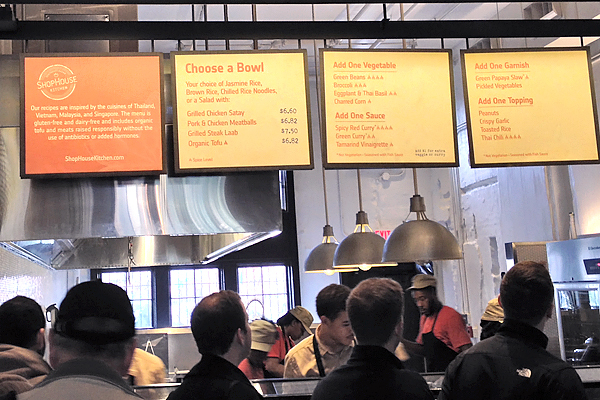 While many of us know and love Chipotle’s high standards for gluten-free fast food, including responsibly sourced ingredients, a before-your-eyes preparation model, and a system for dealing with food allergies and intolerances, ShopHouse takes this to another level. First and foremost, absolutely everything on ShopHouse’s menu is gluten-free, which means no need to ask your server to change gloves or use fresh ingredients. [Note: the chain did originally offer wheaty banh mi sandwiches but has since removed this from the menu.] Dairy is also a non-issue here, as everything on the menu is also dairy-free. While Chipotle’s menu rarely changes, aside from the introduction of new vegan protein options, this new spot mixes it up with seasonal vegetables and other limited-time options. And vegetables? 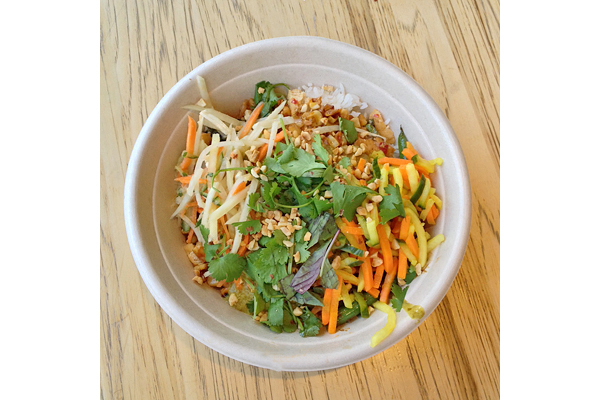 ShopHouse offers more than just peppers and onions. So, what all is on the menu at ShopHouse? Lots of tasty Thai- and Vietnamese-influenced Southeast Asian options, with plenty of room for customization. Start with a base: white rice, brown rice, cold rice noodles, or a less carb-y mix of baby kale and napa cabbage. Add your protein: grilled chicken, grilled steak, pork & chicken meatballs, or tofu. Mix in a veggie or two: kale, summer squash, charred corn, or green beans. Make it saucy: tamarind vinaigrette, green curry, or red curry (which is truly spicy). Finally, garnish it: papaya slaw, pickles, herbs, toasted rice, crispy garlic, crushed peanuts, or Thai chiles. Any combination you can come up with is almost guaranteed to be delicious—and filling. 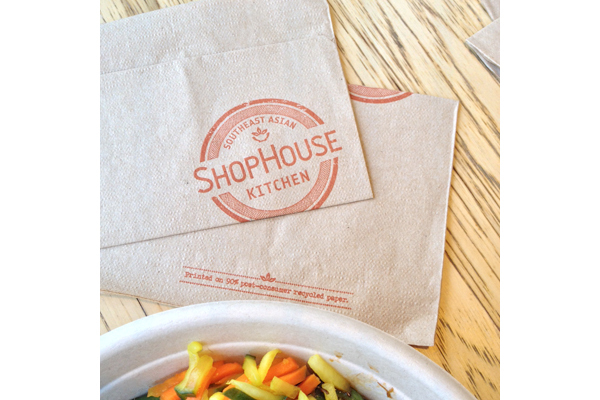 All in all, ShopHouse is a fantastic healthy and tasty addition to the gluten-free fast food landscape. Several locations have opened in the Washington, D.C. and Los Angeles areas, and we can only hope that more are on the way! Where? 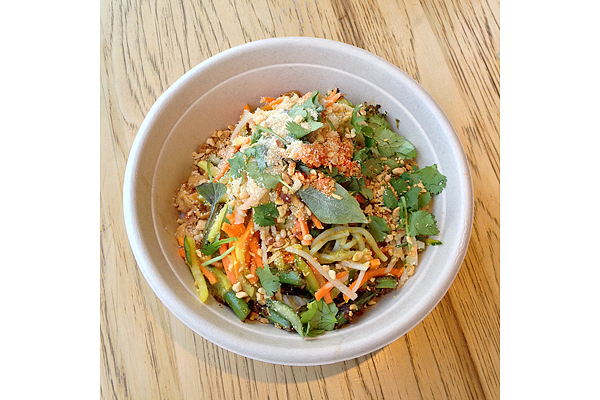 ShopHouse has a few locations in the Washington, D.C. and Los Angeles areas. We like the Dupont Circle location: 1516 Connecticut Avenue NW, Washington, DC (202-232-4141). Hi Molly! I definitely recommend ShopHouse. The spicy rice/noodle bowls are really excellent, and the fact that they’re 100% gluten-free is icing on the cake. They actually had a banh mi on the menu when they first opened but quickly phased that out. All for the better—the bowls are where it’s at!